I’m super excited to share with you a project that I’ve been working on. Amazing high end LUXE die cut Holiday & New Year Greeting Cards. The holidays are right around the corner and will be here sooner than you think. I can’t believe that I’m almost all booked for my holiday sessions. Just yesterday I met with 3 super cool families who I’ll be photographing for their holiday cards at the end of November. Hard to believe that Halloween is this weekend and then Thanksgiving and then the Jewish Holidays and Santa will be visiting too! These high end LUXE die cut cards are available in double sided circular, square and horizontal sizes. 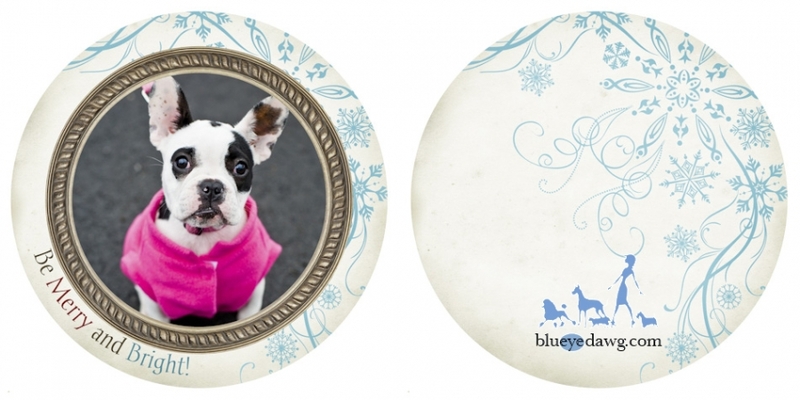 Circular LUXE cards: Measure 5″ across with your favorite Mutt-Shot image and custom greeting on the front. 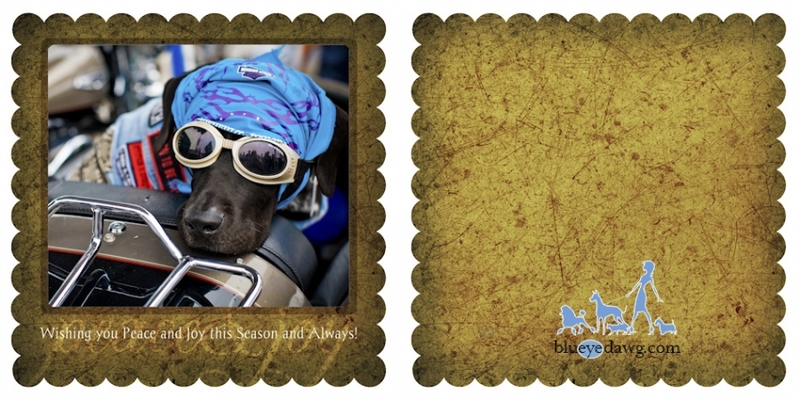 Square LUXE cards: Measure 5×5″ with your Doggie image and custom greeting on the front. 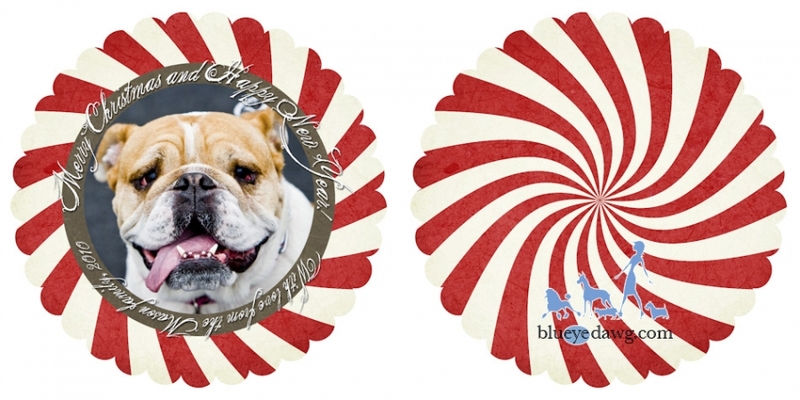 Rectangular LUXE cards: Measure 5×7″ and come in 2 flavors: Vertical & Horizontal, with your favorite pet image(s) and a custom greeting on the front. Stylish Die Cut designs creates a LUXE look and feel with Scalloped edges and gorgeous Aribesque curves. Styling and Gift Idea: You can hole punch the top, thread them with matching ribbon to quickly turning your LUXE card into a stylish and personalized tree ornament. Available with any pet photography session, the perfect way to ring in the New year with one of your favorite pet portraits. 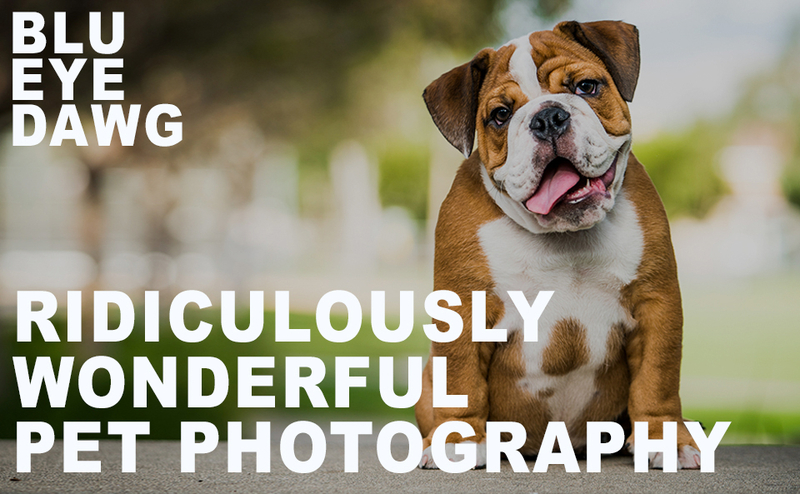 For Orange County pet photography, Los Angeles pet photography, Orange County pet photojournalism, Southern California pet photography, call Marc at 800.943.0414 to reserve a date and ask any questions that you may have concerning my services. I am an Orange County and Los Angeles pet photographer.